Blue Gold™ YAH50 Blue is a foaming enzymatic action cleaner for any show animal, meat processing, or grow out animal facility. 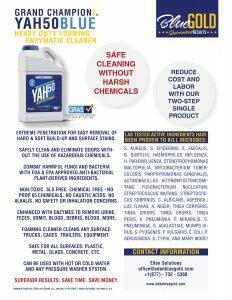 Using all natural oils for surfactants, foaming agents, odor control and neutralizers for safe cleaning of any surface including trucks, trailers, or equipment. 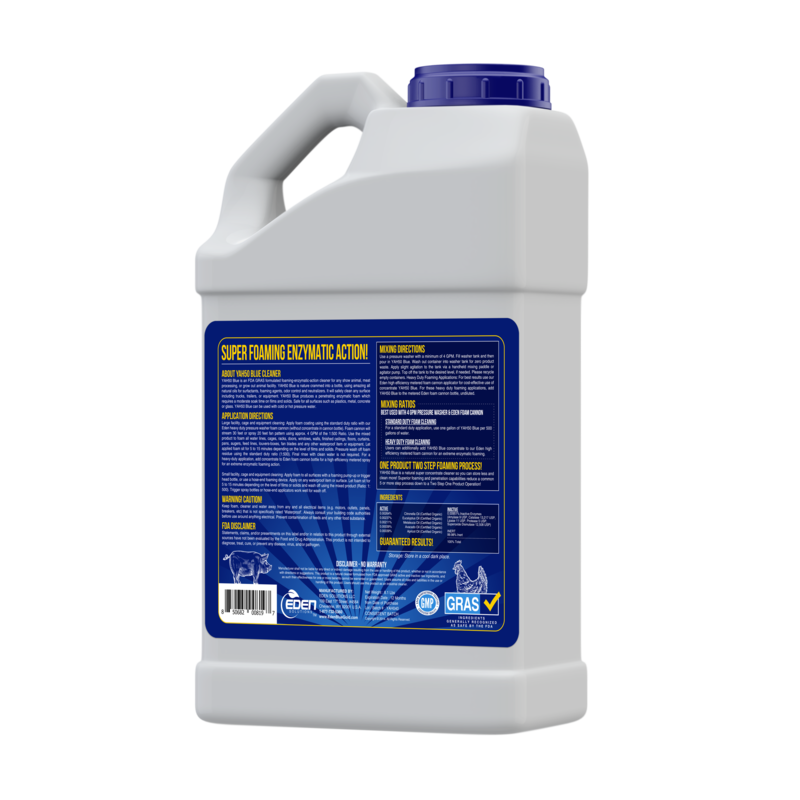 Blue Gold™ YAH50 Blue is a natural super concentrate cleaner so you can store less and clean more! 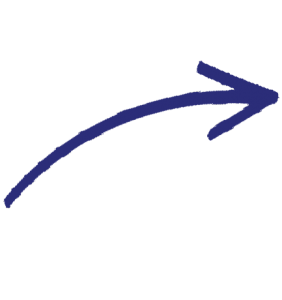 Superior foaming and penetration capabilities reduce a typical 5 or more step process down to a Two Step One Product Operation! The active ingredients are enhanced with a super foaming surfactant and complexed with enzymes to break down dried and stubborn caked debris. 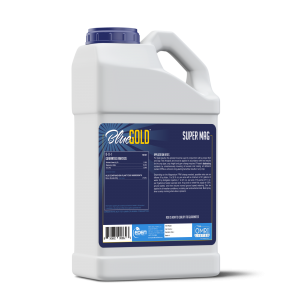 Made with Certified Organic and FDA GRAS active ingredients, Blue Gold™ YAH50 Blue is a safe, superior cleaning product. STUDY PROVEN INGREDIENTS! GUARANTEED RESULTS! 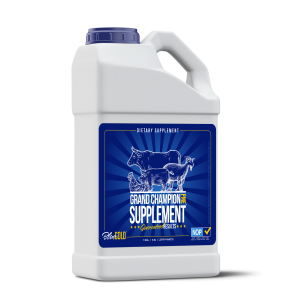 Blue Gold™ YAH50 Blue’s Certified Organic active ingredients are study proven to combat and kill S. aureus, S. epidermis, E. faecalis, B. subtilis, Haemophilus influenza, H. parainfluenza, Stenotrophomonas maltophilia, Mycobacterium tuberculosis, Parphyromonas gingivalis, Actinobacillus actinomycetemcomitans, Fusobacterium nucleatum, Steptococcus mutans, Streptococcus sobrinus, C. albicans, Aspergillus flavas, A. niger, Tinea corporis, Tinea cruris, Tinea cruris, Tinea pedis, K. pneumonia, P. mirabilis, S. pneumoniae, S. agalactiae, Mumps virus, S. pyogenes, P. vulgaris, E. coli, P. aeruginosa. S. typhi, and many more!